If you're searching for a high-quality breadboard, look no further than Circuit Specialists' versatile powered breadboards. This deluxe breadboard features three regulated power supplies and two LCD displays that conveniently show the 0-15 positive and 0-15 negative outputs, enabling you to breadboard electronic circuits faster and easier. 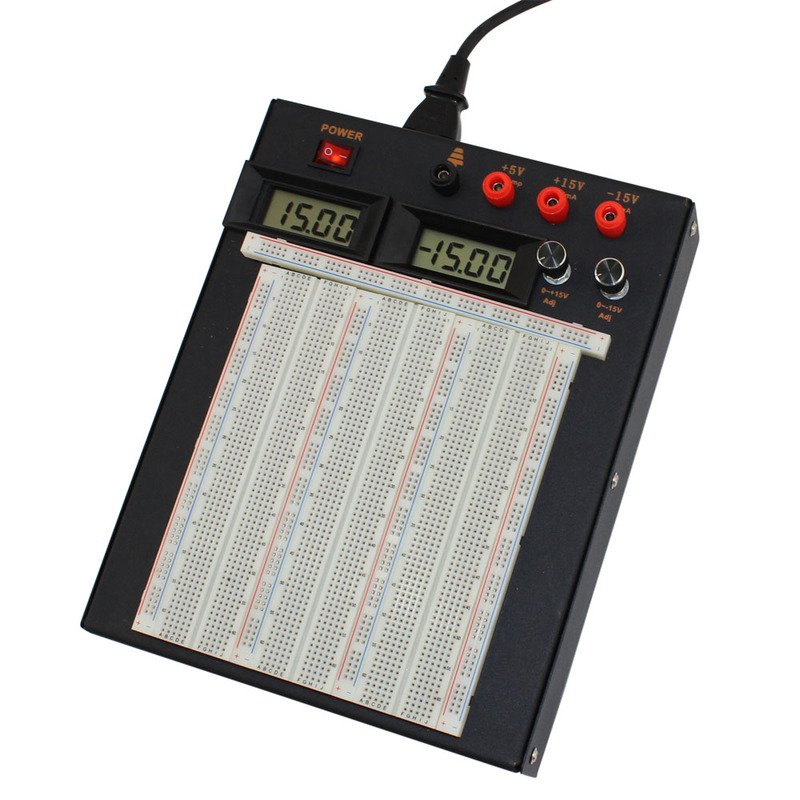 We also carry powered breadboard bundles which include a digital multimeter and a protective case at discounted prices.